A new, drug-free, non-surgical weight loss solution! The Virtual Gastric Band is a remarkable weight loss program pioneered in the UK by Sheila Granger. 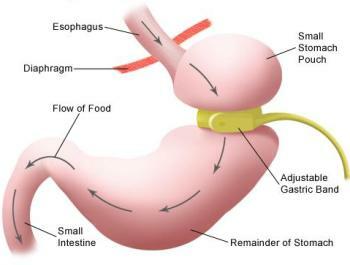 It utilizes the concept of a “virtual” gastric band and Clinical Hypnotherapy. It successfully harnesses the power that every individual holds within them to make positive, beneficial changes in their lives. The Virtual Gastric Band is a non-surgical technique which uses Hypnotherapy to retrain you to be satisfied with smaller amounts of food. It will help you to think differently about food. With the help of Hypnotherapy, your brain will be convinced that your stomach is full after a certain level of intake and that there is no need for more food. You will learn to happily push your plate away, even if there is still food on it! It is most definitely NOT a diet. We all know that diets only work in the short term. The Virtual Gastric Band allows you to eat what you want while empowering you to be satisfied with smaller portions. You will not feel deprived, miserable, or hungry. You will have a long-term solution to your weight problems! Research performed has shown that 95% of participants in the clinical trial lost weight. To date, I am the only Licensed, Certified Clinician that has been trained by Sheila Granger in the New York metropolitan area. I have had the honor and privilege of being trained personally by her in this remarkable technique. You will have 6 individual sessions with me. The first 4 will be about a week apart and the last 2 as often as you need. Each session will feature Hypnotherapy. You will receive a CD with a hypnosis session to take home to listen to daily. Once I get to know you, I will make a customized, personal hypnosis CD that targets your specific needs. This procedure is suitable and also works well with Skype phone sessions for those unable to come into the office. Contact me to see if this is the program for you.